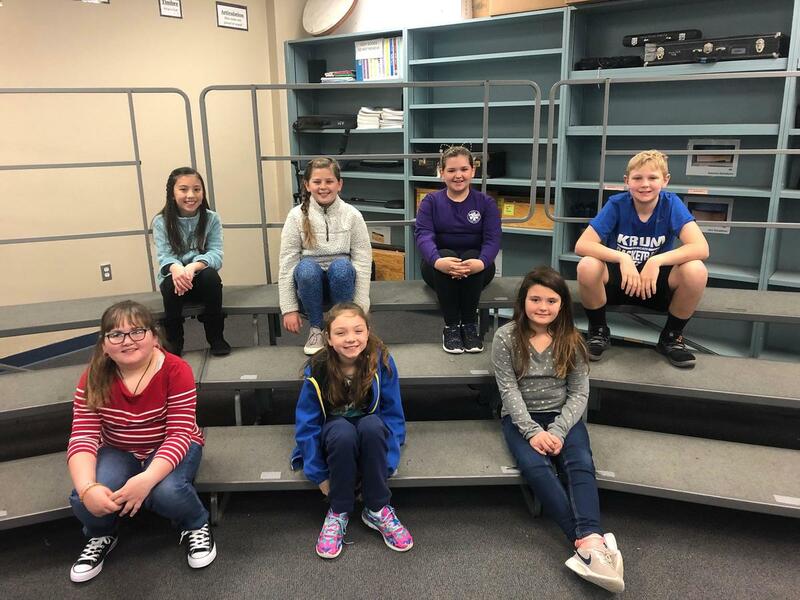 10 students from Dodd Intermediate School, will be part of over 225 students from across North Texas performing in the 23rd Annual NTCC Festival Concert held at The Meyerson Symphony Center in the Dallas Arts District on February 2nd. More than 225 fourth, fifth, and sixth-grade voices from 17 North Texas schools across six districts will participate in the 23rd Annual NTCC Festival Concert at 2 pm on Saturday, Feb. 2 at The Meyerson Symphony Center in the Dallas Arts District. North Texas Metroplex Children’s Choirs, Inc. (NTMCC), which is a 501(c) (3) nonprofit umbrella organization over NTCC and three other choirs, sponsors this event. Seventeen schools from the North Texas area have auditioned and selected 225 singers to perform in this All-Star concert. Schools are from six area districts including Birdville, Krum, Northwest, Plano, Prosper, and Wortham. Krum ISD will be represented by ten students from Blanche Dodd Intermediate. 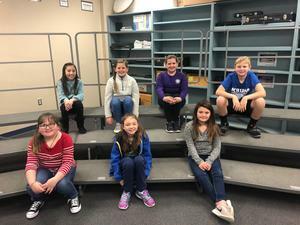 5th graders Grace Boonpattrawong, Caitlyn Brown, Aspen Elkington, Lynette Hosea, Lane Larson, and Jayden Shortes, alongside 4th graders Jaiden Alexander, Ella Eddington, Micah Parrent, and Jodie Warner have been coached by Music Teacher Franco Carbajal over the last few months. Dr. Julie Yu-Oppenheim, co-director of Choral Studies at Kansas State University and President-Elect of the Southwest American Choral Directors Association, will be the guest conductor for the 2018 concert. Texas Youth Chorale (TYC) soloists Lexi Meador and Isha Kurlekar will sing The Star-Spangled Banner while the Dallas chapter of Paralyzed Veterans of America presents the flags. Following the national anthem, TYC soloists Reshma Thomas and Isabel Heen will perform God Bless America. The prelude choir features the Northwest High School Chorale Singers, directed by Kaitlyn Carty and with associate director Cheryl Lemmons as accompanist. The main fabric of the afternoon are the healing voices of 225 children from area schools performing in the Meyerson Symphony Center, one of the top ten best sounding concert halls in the world. Taking on an ambitious repertoire of songs from various languages and cultures, and diligently practicing after school for months with volunteer choir teachers, the children raise their voices in harmony for seven melodious pieces. Under the tutelage of guest conductor Dr. Julie Yu-Oppenheim, and Daniel Stipe as accompanist, the vision of NTMCC founder and artistic director Ann Smith will once again come to fruition for its 23rd year. Tickets are still available online at www.ntchoirs.com with $30 or $40 options. The North Texas Metroplex Children’s Choirs (NTMCC) also oversees two select traveling choirs, the Texas Youth Chorale (TYC: grades 6, 7, and 8) and the Texas Children’s Choir (TCC: grades 3, 4, and 5), along with hosting an annual festival for choirs from across the nation and around the world, the Texas International Choral Festival (TICF). *The bulk of this article has been written and given to Krum ISD by North Texas Metroplex Children’s Choirs, Inc.